Suzan Buckner is one of those ‘instant like’ kind of people. We’ve had several phone conversations, always involving a healthy dose of laughter, and they always seems to come at just the right time. I’ve known Suzan since my days at ZNE (VariaZioNE the first mixed media group I ever joined) She is probably the most productive artist I know. When she says she’s going to paint 30 paintings in a month, she’ll probably paint 45-at least. Her art makes me smile. I’m honored to own two of her pieces in my own art collection. 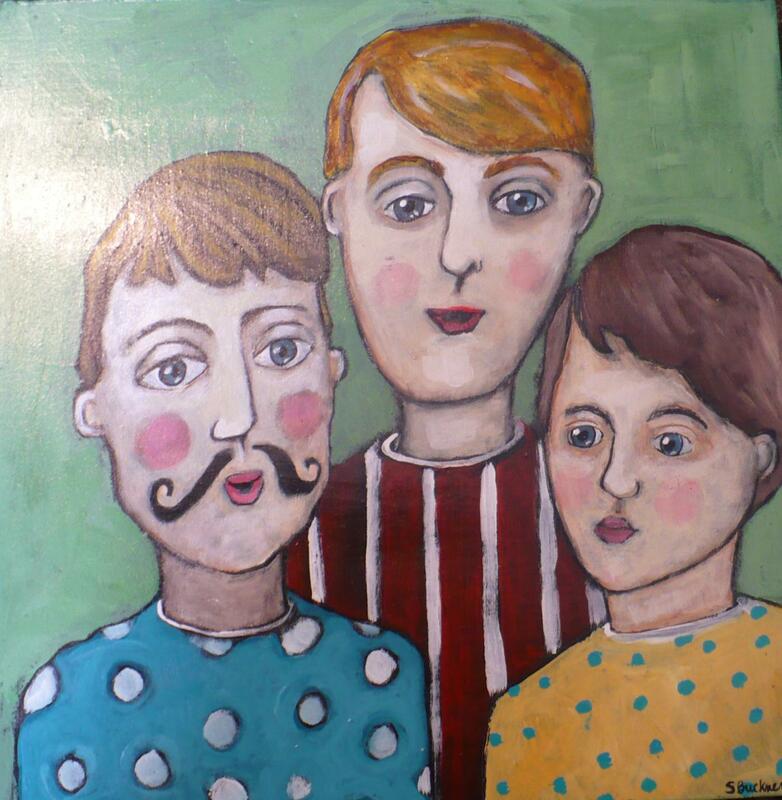 This is one of the pieces, reminding me of my three boys. Be sure to go and see what she has to share for Day 4 of the Blog Tour! Love the stylistic approach to her figures! Very distinct and colorful! I love Suzan’s photo of you in a tutu! How cute!